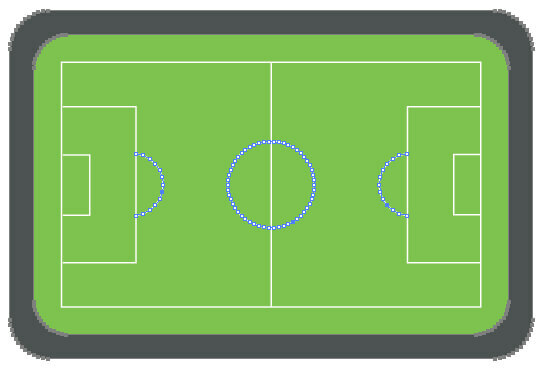 This help topic will walk you through the steps you should take to create your own shapefile like the Stadium we demonstrated with our online examples. We'll get started with the playground and then with the seats. 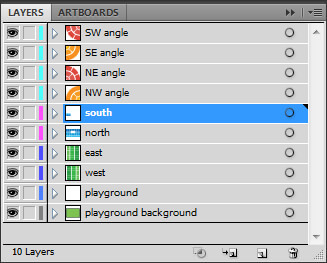 There are several tools that you may choose from to create your drawings. 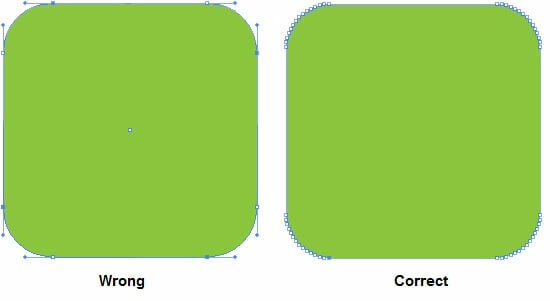 For this topic we used Adobe Illustrator.There is something significant you need to know when drawing the shapes. 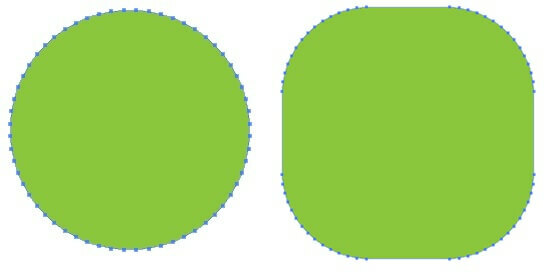 Shapefiles are incapable of storing true curves. The complete design of the playground is shown below Creating the seats of the stadium is more complex but the approach is the same - using many-sided polygons. 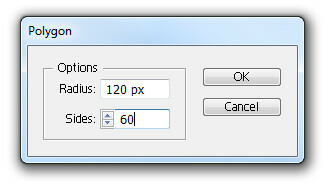 Leave the settings in the DXF/DWG Options window as they are by default and click OK to finish the exporting process. Up to now you should have a ready .dxf files. You'll need to convert them to .shp format. There are several converting tools that you may use. We use Guthrie's CAD2Shape for the purpose and the following screenshots are based on this tool. 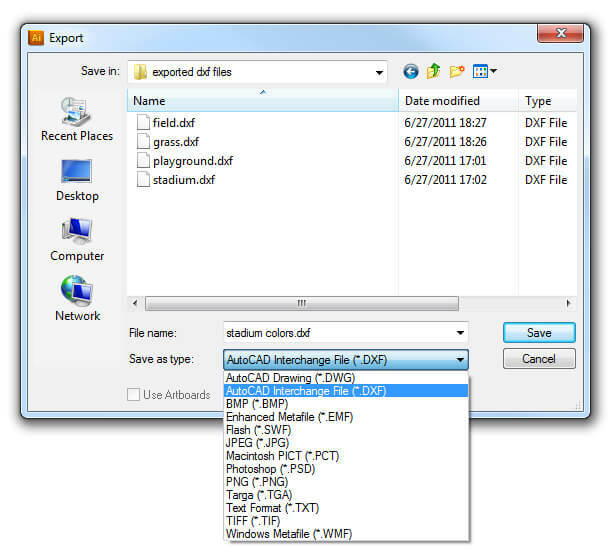 By default the exported files will be placed in the same folder where your .dxf files were. Each .shp file has an associated .dbf and .shx file. For more information about these files please read point 3 - reading the shapefile. Reading the shapefile. 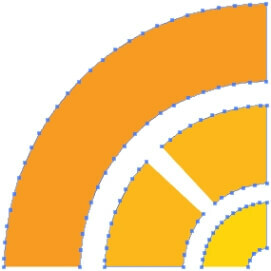 The shapefile in most cases is accompanied by additional files containing information which is related to the shapes. Example for such file is the .dbf, which holds attribute related to the shapes in the main file. 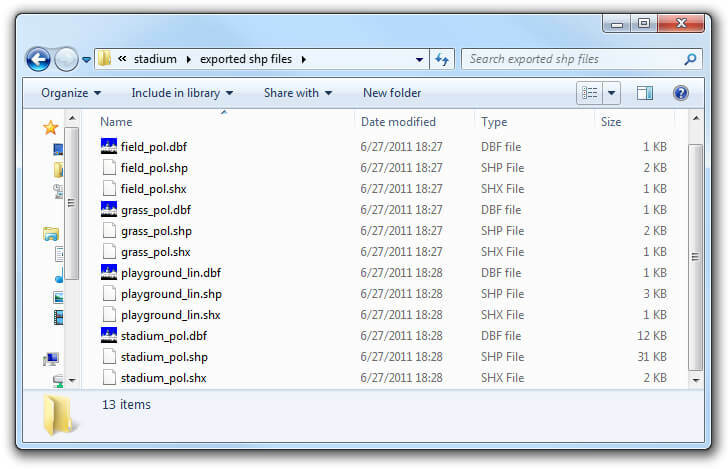 RadMap requires these types of files to read the shapefile. Since this is beyond our topic's scope you may refer to our Shapefiles support article where you will find more details and code samples.